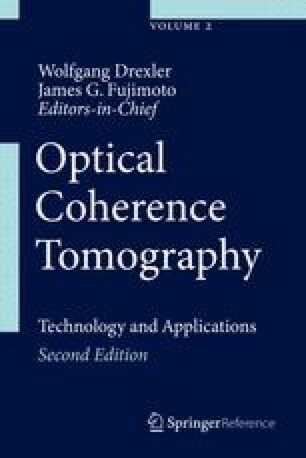 This chapter describes combined multiphoton microscopy (MPM) and optical coherence tomography (OCT) system and second harmonic OCT (SH-OCT) system. Second harmonic generation (SHG) enables direct imaging of optically anisotropic biological structures, such as membranes, structural proteins, microtubule ensembles, and collagen. SH-OCT combines molecular contrast of SHG with coherence gating of OCT. MPM/OCT combines molecular contrast of MPM with scattering contrast of OCT. Combining MPM and OCT onto a single platform creates a novel multimodality image technique which can acquire structural and functional imaging of tissues simultaneously. We will review the principle and technology of SH-OCT and combined MPM/OCT system, and illustrate a few examples of its applications. We would like to thank many of our colleagues who have contributed to the MPM/OCT and SH-OCT projects at UCI and UBC. We want to acknowledge grant support from the National Institutes of Health (R01EB-00293, R01CA-91717, R01EB-10090, R01EY-021519, R01HL-105215, P41EB-015890), Air Force Office of Scientific Research (F49620-00-1-0371), the Beckman Laser Institute Endowment, Natural Sciences and Engineering Research Council of Canada, and the Canada Foundation for Innovation.